The Nike F.C. Shorts are made from lightweight, stretchy fabric that repels water and dries quickly. The elastic waistband has rubber grip to stay in place. Three pockets close completely to keep your stuff secure and dry whenever it's time to play. The Nike F.C. 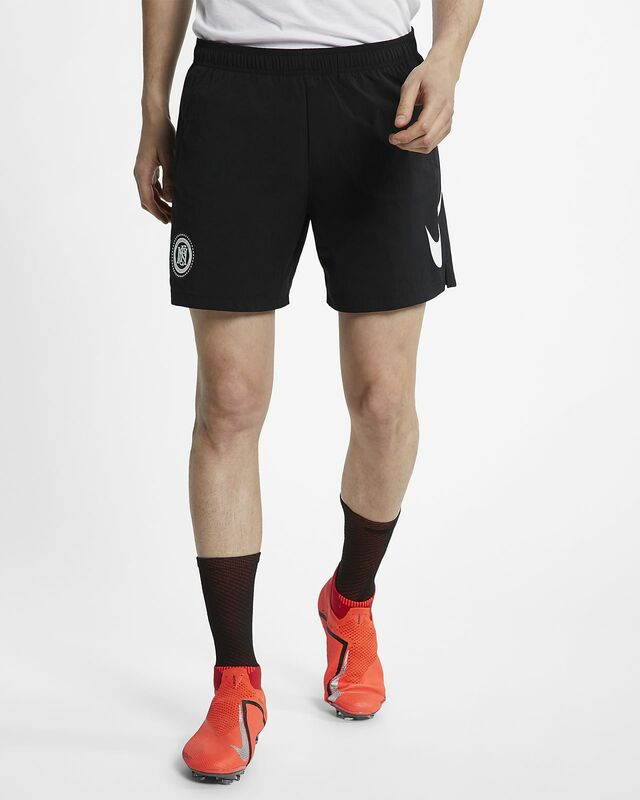 Shorts are made from lightweight, stretchy fabric that repels water and dries quickly. The elastic waistband has rubber grip to stay in place. Three pockets close completely to keep your stuff secure and dry whenever it&apos;s time to play. Lightweight fabric with a water-repellent finish dries quickly. Breathable mesh briefs gives you more coverage. Zip side pockets and a hook-and-loop back pocket store your essentials. Elastic waistband has rubber grip to stay in place. Fabric: Body: 94% nylon/6% elastane. Lining: 100% polyester.